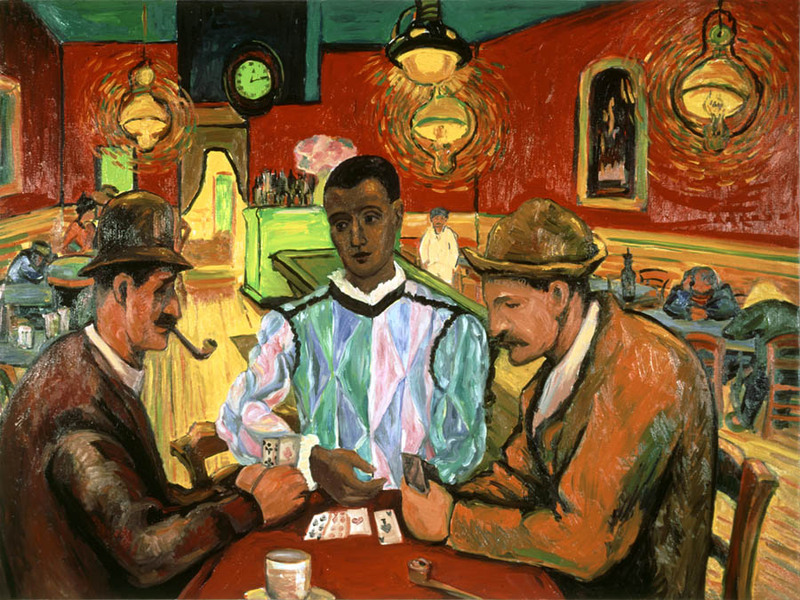 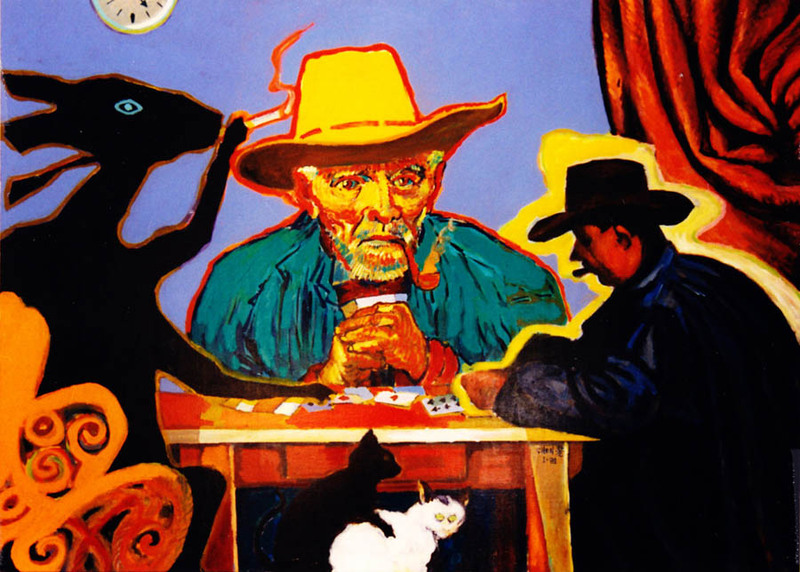 Card players have been a subject of western painting since 17th century and attracted Dr. Chen specially by Paul Cezanne’s series of Card-Players with two figures, three figures and five figures etc. 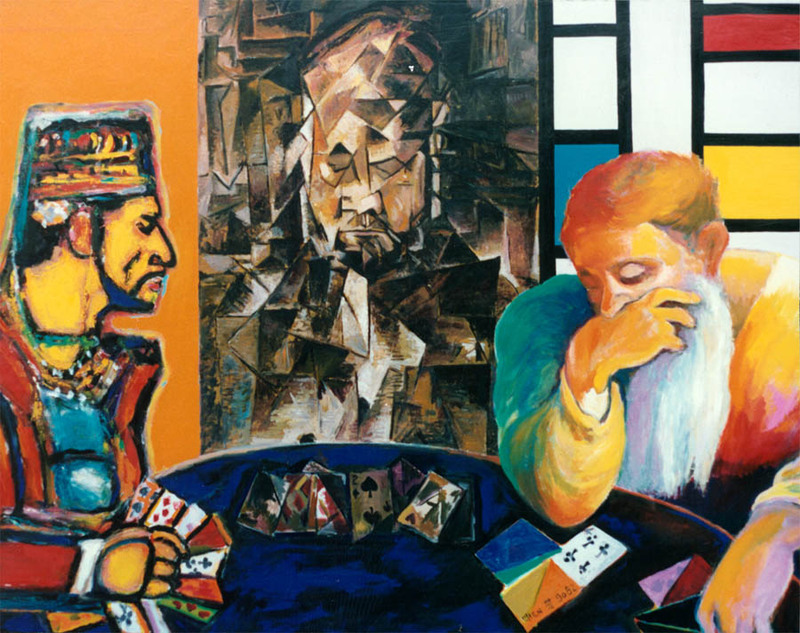 Two figures opposite each other at a table playing card is a perfect motive for an artist to study figures which Dr. Chen did when he was studying in Paris where he lived near Jardin de Luxembourg and every afternoon there are so many retired gentlemen and women playing card in the garden, specially when the weather is good. 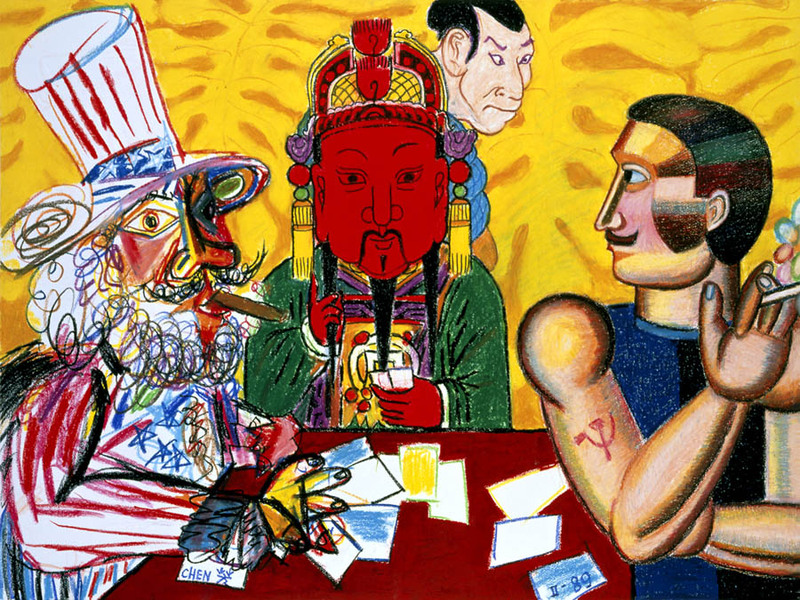 Dr. Chen made a lot of sketches with pencil and charcoal after the card-players there while in oil and acrylic at his studio and in his signature style of Neo-Iconography. 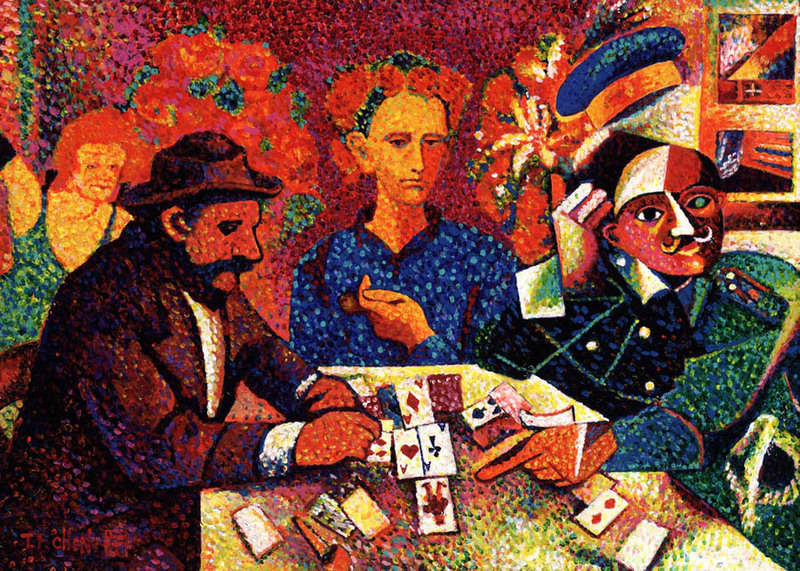 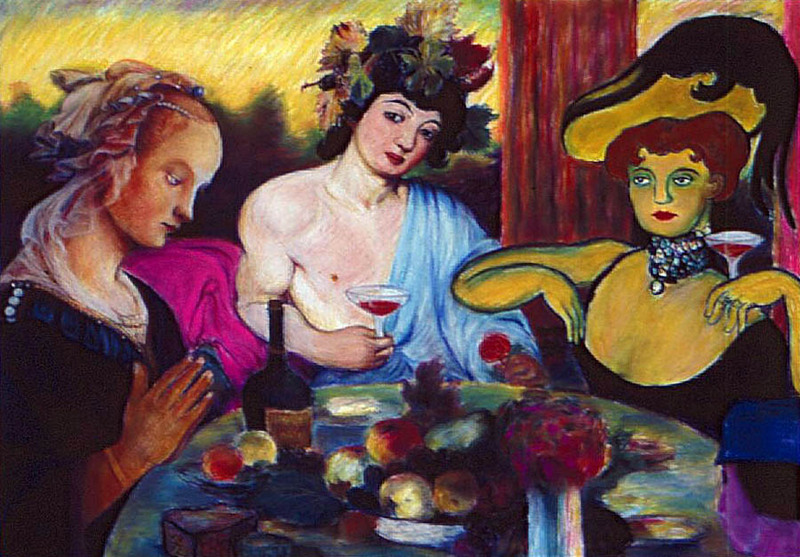 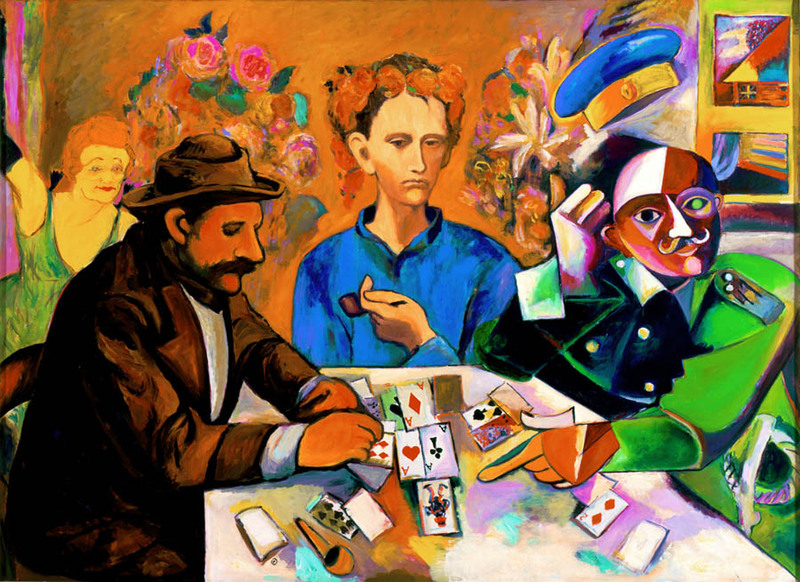 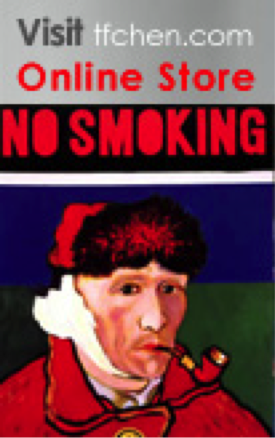 Taking Cezanne’s composition of card-players, Dr. Chen was inspired to invite figures from other masters to participate in the card playing, such as from the harlequin of Picasso’s work, from Chagall’s Russian soldier, from Van Gogh’s peasant, from Rouault’s Old King etc. 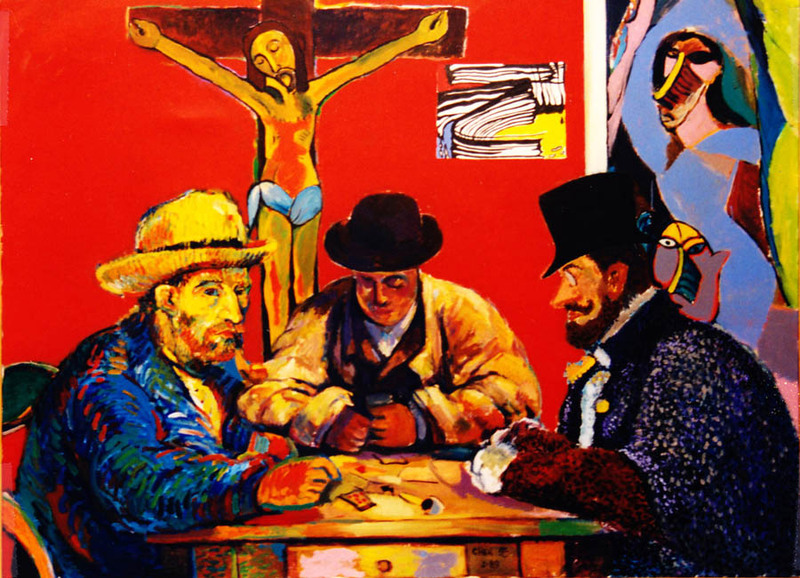 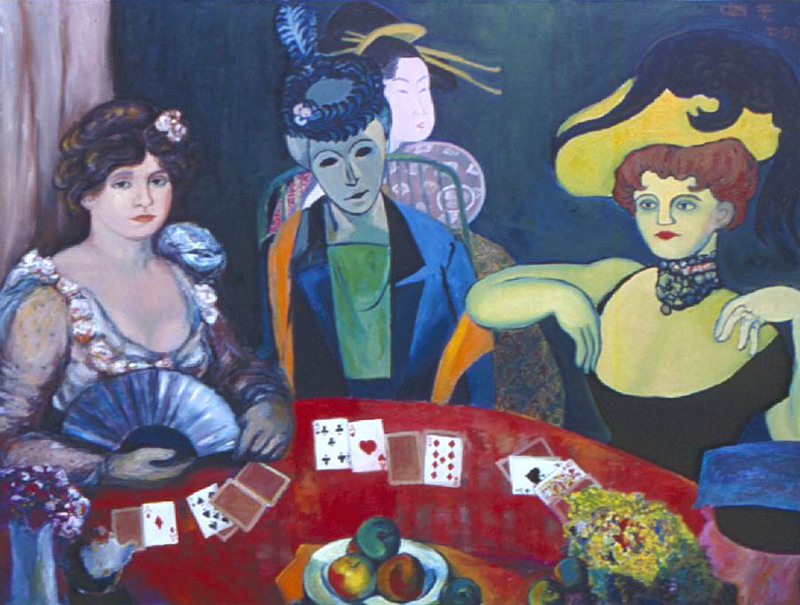 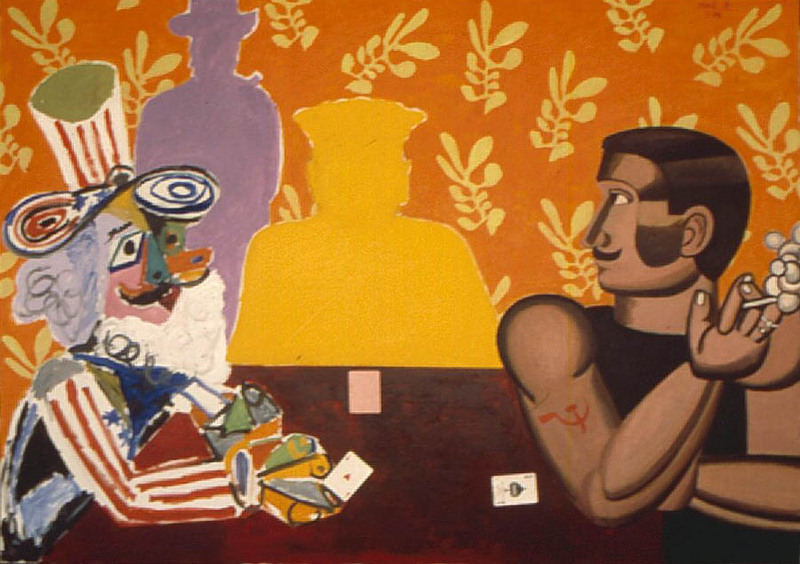 to create this series of Post-modern scenarios of card-players from art history. 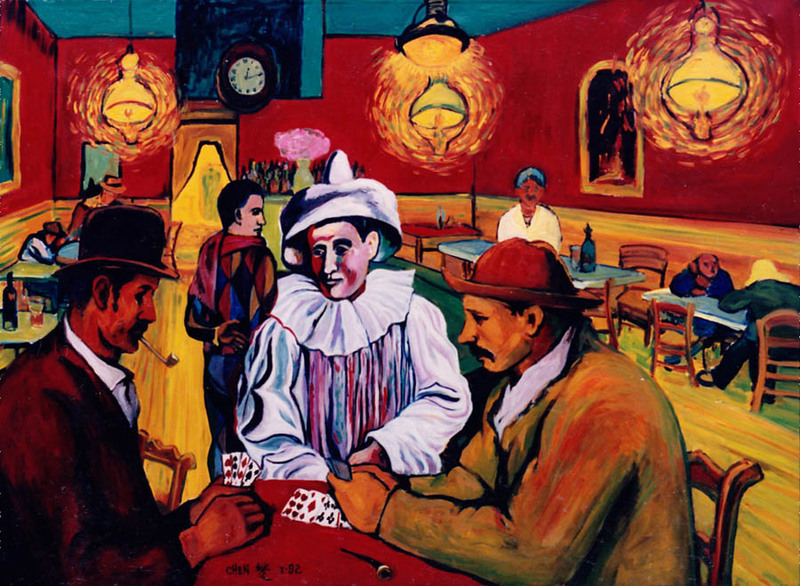 Please click picture to view art products.